A reprint of the 1917 classic! Step Back in Time to the Newly Created Adirondack Park of 1916 For any lover of wilderness, a six-month backpacking and camping trip to the lakes and high peaks and through the villages and camps of the Adirondacks is the stuff that dreams are made of. But Longstreth lived that dream and came to love this lake-starred, balsam forest that remained a wilderness despite all the modern conveniences like the upholstered car, the thermos flask, the automatic fusillader. 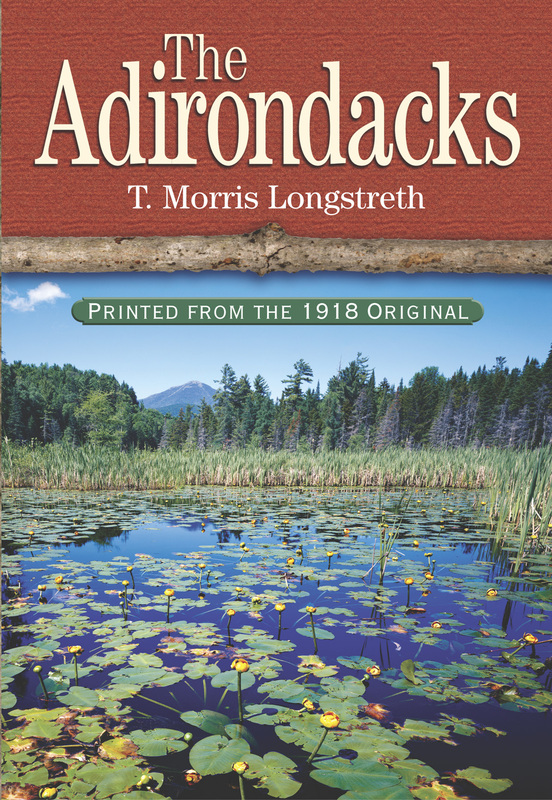 Blue Mt., Loon Lake, the Ausable River, Paul Smith’s, Lake Placid, Saranac Lake, Whiteface, Wilmington Notch, Keene Valley, Indian Pass, Schroon Lake, Hurricane Mt., Wolf Jaws, The Giant, McIntyre with its summit view of 135 lakes -- the list of famous features of the Adirondack Park—the largest state park in the contiguous United States goes on and on, and Longstreth visited them all.